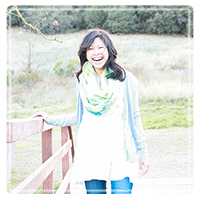 Woodland Hills Therapist: Nadia Siswanto - Therapist 91367. Send A Message To Nadia. Things were going pretty well for awhile there...but then life got messy. You’re stuck, and you’re hurting. You know it doesn’t HAVE to be this way, but you’re not sure how to work through it on your own. That’s exactly why I’m here. I’m Nadia Siswanto, Licensed Marriage & Family Therapist, and my passion is to help you find hope through the hurting. I’ve spent the last 10+ years studying the ins and outs of faith and psychology, working with clients struggling with anxiety, eating disorders, transitions, grief & loss, and distressed relationships. After working in multiple clinical settings, I was inspired to open my own private practice to offer the services my clients actually need, using approaches I truly believe in. It’s important to me that you know my Christian faith informs the way I view and practice counseling. I believe God uses counselors to help us all experience the freedom, love, and peace he offers. Whatever your belief system, my goal is to create a safe, compassionate space (with sprinkles of fun and laughter) for you work through the hurts and hang ups that can get in the way of living a joyful, purposeful life. Whatever the reason, your child is struggling and needs help. You’re a concerned parent, and you want your child to get the help he or she needs. Click here for more info. Something is off, but you don’t know what to do. Whether you’re worried about self-esteem, body image, school, career, or relationships, I can help. We can work together to explore what keeps you stuck. Click here for more info.